It’s no secret that women pursuing careers in science face various challenges, and those related to having children can be particularly pronounced for female postdocs. 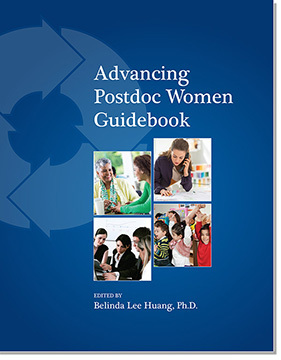 To help address some of these issues, the National Postdoctoral Association (NPA) has released the Elsevier Advancing Postdoc Women Guidebook. And while the guidebook is primarily intended for women, much of the information—including chapters about career planning and building good mentoring relationships—is relevant for all readers, regardless of gender. The guidebook was funded through our Elsevier Foundation 2012 New Scholars Grant. The New Scholars Program supports projects to help early- to mid-career women scientists balance family responsibilities with demanding academic careers and addresses the attrition rate of talented women scientists.